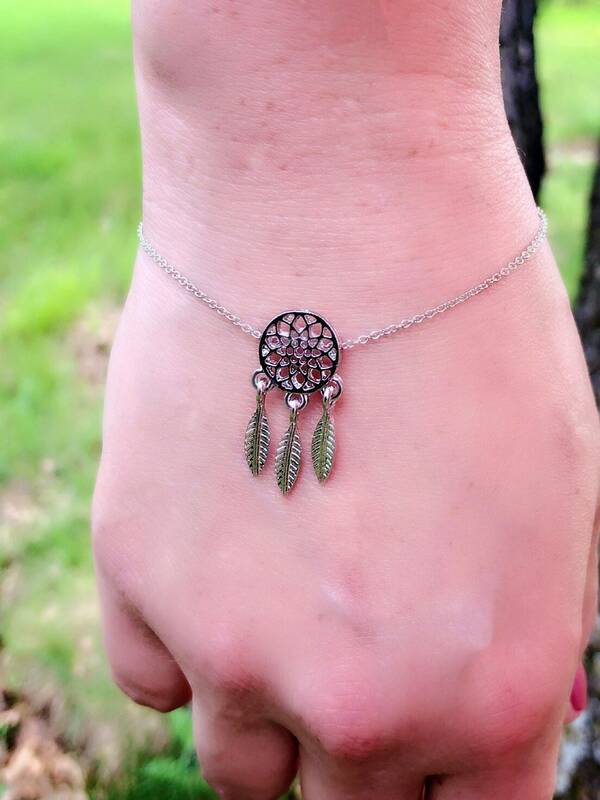 Adjustable size dreamcatcher bracelet. 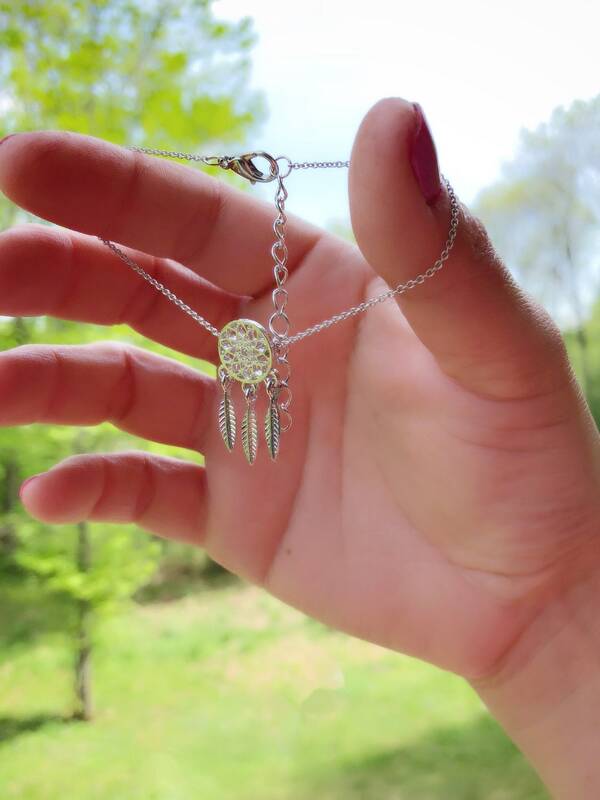 Made of alloy and very lightweight. 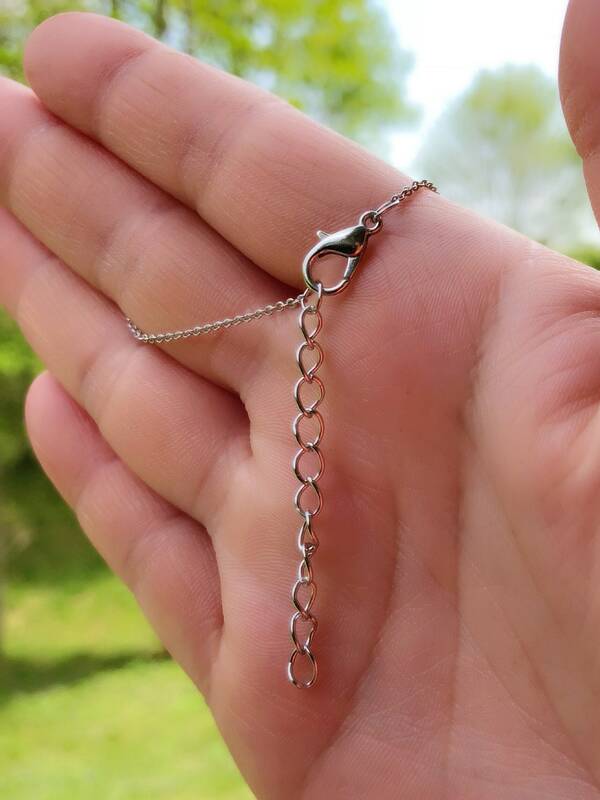 Chain has a claw clasp for secure closure.